First Caterpod registered in Portugal! Congratulations to Judy and Bradie for the successful registration of the first Caterpod in Portugal! 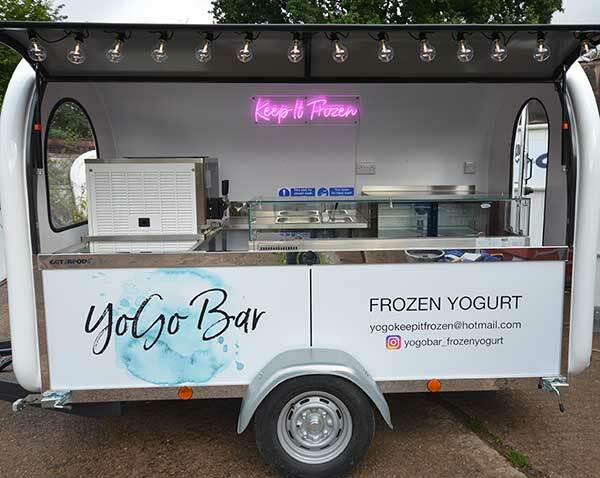 We’re sure you will achieve the success you deserve with your Frozen Yogurt pod – Yogo Bar. Be sure to check them out if you are fortunate enough to be visiting the Algarve! Second Caterpod registered in France! 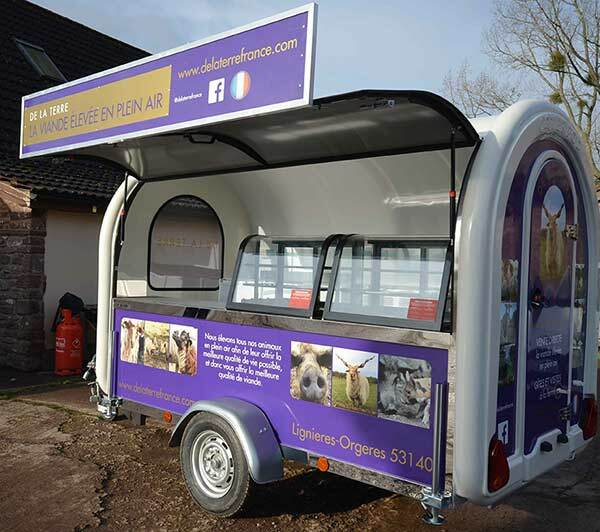 We are delighted to announce that the second Caterpod has been registered in France courtesy of Amy @ De La Terre! De La Terre is a 50 acre farm situated in the beautiful countryside of the Normandie-Maine National Park, on the border of Normandy and Pays de la Loire, France. Offering Accommodation, a Farm Shop, Experiences & courses – and now a beautiful Caterpod!! Caterpods team up with Marshfield Farm to bring you the ultimate one stop trading solution for delicious Real Dairy Ice Cream!! 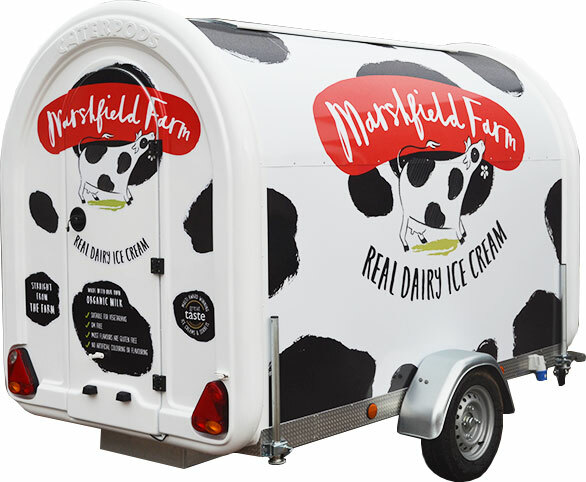 We are delighted to announce that we are now working directly with Marshfield Farm to offer a High Quality UK built Caterpod backed up with Award Winning Dairy Ice Cream! 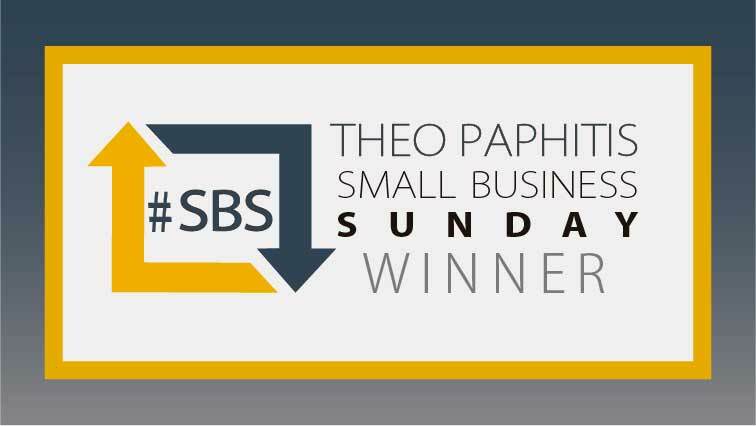 Amazing offer saving you £2000! Caterpods are pleased and proud to announce that following significant investment & many sleepless nights, they have now secured full European Type Approval on all of their Trailers from the Vehicle Certification Agency (VCA) in Coventry. Caterpods selected for Theo Paphitis SBS (Small Business Sunday) award! 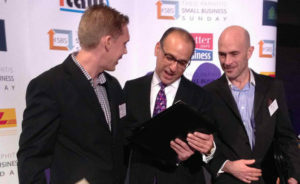 Theo is also a mentor and investor to many other business acquainted via the Den including Wedgewelly and Fit Mix Pro.